Artist Todd Lantz has been a busy bee working on Barryville’s Monarch Butterfly on a Coneflower sculpture. This sculpture’s sister resides a few miles upriver at the Minisink Ford Eagle Observation Area and Hayraisers 4-H Club pollinator garden. 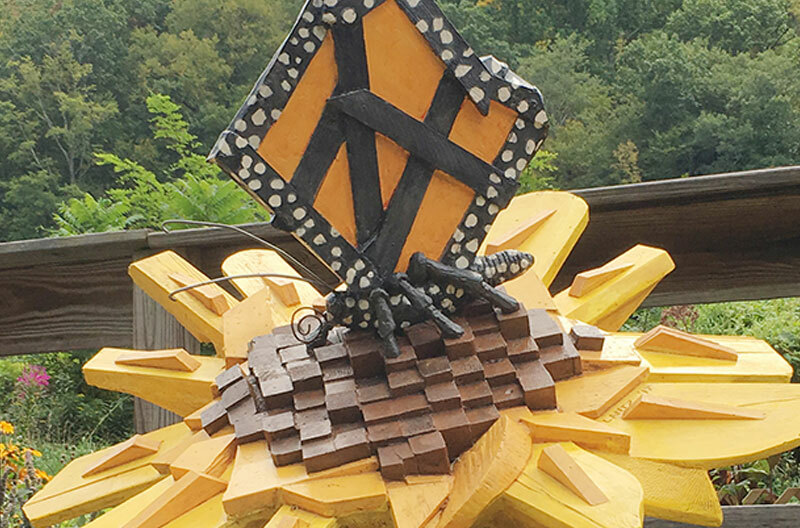 These sculptures are to be the beginning of a trail of pollinator sculptures guiding people along the Upper Delaware Scenic Byway. Join us for this unveiling. Stop by the Barryville Farmers’ Market before or afterwards to pickup some locally grown food that the pollinators have helped create.